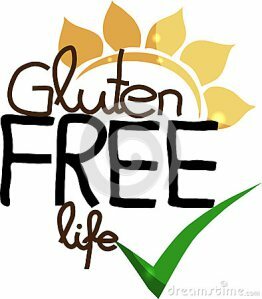 I think that Gluten Free foods are coming about more and more but there still needs to be more awareness as people don’t fully understand. I’m not actually gluten free myself but my Aunty is and my sister has a slight intolerance. For things such as bread and cakes you hear people saying that it tastes like cardboard, I have actually done some gluten free baking and I have still enjoyed them and more importantly my Aunty did too. I was diagnosed with Celiac in 2005. Back then food classified as gluten free was disgusting. I have never been fond of eating dry cardboard. With Celiacs Disease and with most gluten sensitivities, digesting gluten can lead to a whole host of other issues. Sure it’s trending to be eating ‘gluten free’ and it seems to be one of the newest fad diets. However, for some of us, it is far more serious than trying to get a hot, smoking body! What is gluten, you may ask? Celiac disease is an immune reaction to eating gluten, a protein that is found in some grains; these include wheat, barley and rye (and any combination of them such as triticale). Here in Canada Oats are an acceptable grain, but they MUST be certified as gluten free. Cross-contamination can occur when the same machines are used to produce wheat and oats.